ASL, the office managed services group, are pleased to welcome Nigel Allen onto their board as the new marketing director for the group. Previously one of the board at Kyocera achieving substantial growth over the last 9 years, Nigel brings this wealth of relevant experience to the role, as well as providing ASL with the marketing expertise they need to maximise growth in the short- and longer-term. 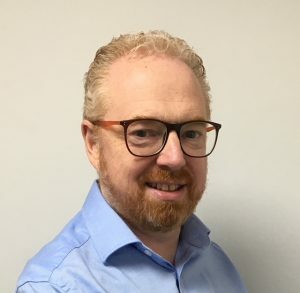 Nigel’s previous career as the marketing director for Kyocera (Nigel worked for Kyocera for more than fifteen years), ensures he has an excellent insight and knowledge of the sector which will be invaluable as they continue to grow to be one of the largest Independent companies in the market. ASL have undertaken a focused programme of acquisitions in recent years which has seen the group evolve into a large-scale organization, offering a diverse selection of services including unified comms, security and production print. Appreciating the positive culture and values which are a key part of the ASL persona, Nigel is eager to work with the rest of the directors to continue to take the company forward towards even greater success. ASL is a market leader in managed print services and unified comms in the UK. Currently one of the top ten managed service companies in the country, ASL has acquired a reputation for impartial product recommendations and impeccable customer service at every stage. With well over 100 employees and branches in Basildon, London, Great Yarmouth, Cambridge, Cannock and Milton Keynes, they offer a responsive, customized solution for a wide variety of office requirements. ASL offer independent advice and can supply and maintain a large range of products from global leaders in the print solutions world, including Kyocera, Ricoh, Lexmark, Canon, Konica and Papercut. Flexible financing and a commitment to ensuring each customer gets the very best option for their requirements are crucial to ASL’s continual growth.